IDEA Website Is Live! Plus new Resources and Events! TOP NEWS: New IDEA Website Is Live Today!!! enhanced accessibility features, including language assistance supports. Be sure to view the announcement of the site's release, explore the site's new resources and visit the OSERS Blog to provide input. Stay tuned for upcoming learning opportunities on the content and functionality of the site! This month is Better Hearing and Speech Month (BHSM)! OSEP partnered with the American Speech-Language-Hearing Association (ASHA) and a number of other organizations to create learning opportunities throughout the month. We have featured more information about the month and resources to support positive communication development below. In late April, the Department celebrated National Reentry Week, reinforcing its commitment to the education and rehabilitation of incarcerated and formerly incarcerated individuals. During the week, Secretary DeVos visited a correctional facility in Montgomery County, Maryland. Reentry and correctional education are key pieces of OSEP's work. Check out our recent juvenile corrections and reentry blog post, highlighting the work of an OSEP grantee. We'd also like to remind you of an important resource OSEP released last year, the Improving Outcomes for Youth With Disabilities in Juvenile Corrections tool kit. OSEP recently received its federal fiscal year (FFY) 2017 budget appropriation. 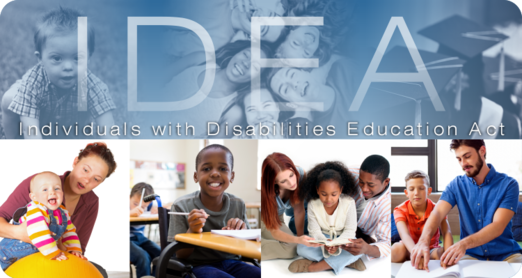 IDEA Part B grants to states were given a $90 million increase! Our preschool and early childhood grants were flat-funded. As we shared earlier this month, we have changed the date of our third virtual symposium, "Displaying Our Data - Conveying Our Stories," to September 13, 2017. Check out the resources from the first two symposia, highlighted below under "Resources for You." Finally, don't forget to register for the OSEP Leadership Conference, which will be held July 17–19, 2017 in Arlington, Virginia. Logistical information can be found on the meetings page, including an official invitation from me, Ruth Ryder. I hope you'll join us this year! In March, OSEP published the IDEA Part B and Part C Information Collection Requests (ICR) in the Federal Register. We have received thoughtful comments from our stakeholders and are in the process of drafting responses. We will publish four additional ICRs within the month. States and other relevant stakeholders will be notified once the notices soliciting comments for the IDEA (1) Part B and (2) Part C applications and the IDEA (3) Part B and (4) Part C record-keeping ICRs are available in the Federal Register. OSEP is currently reviewing FFY 2015 State Performance Plan/Annual Performance Report submissions. OSEP responses and state determinations should be expected near the end of June. We are also reviewing states’ State Systemic Improvement Plan (SSIP) Phase III submissions. OSEP will conduct calls with states in July and August to provide them with feedback on their submissions. BHSM 2017 was a huge success! Throughout the month, OSEP and our partners connected with national and local stakeholders as part of a public education campaign to raise awareness about the critical need to intervene early when young children are identified with communication disorders. We encourage you to view a series of archived webinars, released May 2-9, which addresses (1) the use of assistive technology to support children and students with disabilities, (2) Augmentative and Alternative Communication, and (3) identifying and supporting children with hearing loss. Language Development: Making Family-School Connections. Developed by Letti Grimaldo and Shannon Giroir at the University of Texas at Austin's Project ELITE2. Culturally and Linguistically Responsive Decision-Making. Developed by John J. Hoover and Lucinda Soltero-Gonzalez at the University of Colorado - Boulder's REME project. Language Development Tips for Dual Language Learners. Developed by Linda Cavazos at the American Institutes for Research and Elsa Cárdenas-Hagan at the Valley Speech Language and Learning Center. 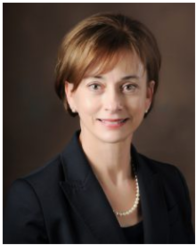 In a recent interview, available on the OSERS Blog, Jeana Ross shares her experiences as secretary of the Alabama Department of Early Childhood Education. Since she became secretary in 2012, the state’s voluntary high-quality pre-K program, First Class Pre-K, has grown from 211 to more than 800 classrooms located in all 67 counties in Alabama. Through Maternal, Infant, and Early Childhood Home Visiting Program grants and additional state funds, the state's early learning home visiting and family support services have grown from serving 13 counties to a total of 43 counties throughout the state. In the interview, Ross shares the strategies her state has used to maintain quality while expanding services to Alabama’s youngest learners. Virtual Symposia Resources and Collaboration Space now Available! OSEP's Virtual Symposia Series has engaged experts, policymakers, and stakeholders to bring you important resources on the topics of (1) Significant Disproportionality and (2) Creating Safe, Supportive Learning Environments for Children with Disabilities. Now that each live event has been archived, you can visit the Symposia Series website to view the presentations and explore the resources collected under each topic. Another exciting aspect of the website is the OSEP Collaboration Space. We encourage you to use this space to continue the conversation on several topics relevant to our work. Stay tuned for upcoming opportunities to engage with your peers on these topics. On May 18, 2017, OSEP issued its latest policy memo, Determinations for Children Suspected of Having a Visual Impairment Including Blindness under the Individuals with Disabilities Education Act. OSEP issued this memo to ensure broad dissemination of the key points made in our November 12, 2014 Letter to Kotler, that addresses whether a state or local education agency is permitted to establish procedures that further define the disability category “visual impairment including blindness” under the IDEA. In the May 18 memo, OSEP provides additional guidance on this important issue, and shares information about outside resources related to the identification and evaluation of children suspected of having a visual impairment, including blindness. 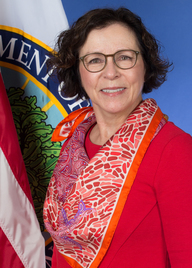 OSEP continues to collaborate with the Office of Elementary and Secondary Education's Office of State Support (OSS) regarding the Department’s review of ESSA consolidated state plans. Key state plan resources for states can be found here. Check out some additional ESSA resources and educational opportunities, listed below. OSEP is working together with OSS and our grantees to provide support to states with the transition to ESSA assessment requirements, particularly on issues that impact both ESSA and IDEA. On May 16, OSEP and OSS jointly issued a memorandum to state assessment directors, state Title I directors, and state special education directors addressing the requirements regarding the state-level 1.0 percent cap on the percentage of students who may be assessed with an alternate assessment aligned with alternate academic achievement standards (AA-AAAS). In April, the National Center for Educational Outcomes (NCEO) hosted a webinar to provide technical assistance surrounding the 1.0 percent cap on participation in an AA-AAAS. The presentation (1) reviewed ESSA requirements regarding the cap on participation in AA-AAAS, (2) described the provisions in the regulation for requesting a waiver from the cap, and (3) suggested strategies for meeting the cap. It also highlighted a new NCEO-developed brief on this topic. Immediately following the 2017 OSEP Leadership Conference, the NASTID Summer Meeting will bring together federal programs directors at the JW Marriott in Washington, D.C. from July 19 to 21, 2017. On the afternoon of July 19, state staff are invited to participate in an ESEA Convening on the topic of developing consolidated state plans. Participants will have opportunities to share lessons learned from the spring submission of plans, preview new resources, and learn about other states’ work developed through communities of practice and peer-to-peer exchanges. More details will be provided in the coming weeks. States may contact their state lead in OSEP or OSS with questions. In May, the Department celebrated Better Hearing and Speech Month. Along with bringing you the resources shared above, we interviewed ASHA's school services director Deborah Dixon. In her interview on the OSERS Blog, Dixon shares the importance of BHSM and supporting the integral work of speech-language pathologists. We also honored Teacher Appreciation Week on our blog. In "Why I Teach," we featured the stories of educators Shirin Felfelti (pictured right) and Margaret Brewer-LaPorta. 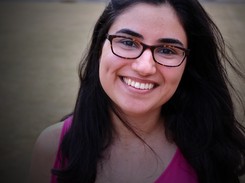 Each shares what has motivated her to pursue careers teaching students with disabilities. We want to hear from you! Do you have suggestions for technical assistance opportunities? Parent resources? Webinar topics? Ideas for things to include in future newsletters? Send them to Charlotte Stein at charlotte.stein@ed.gov.